Yesterday I was looking for something in my bag and couldn’t find it. Why? Because it’s become babyfied. I’m used to having a fair share of crapola in my bag, and extra stuff just in case (like five lipsticks instead of one, because you never know what could happen, and a range of pills and remedies, because G-d forbid someone around me has a headache or nausea and I can’t help them). So while I will take responsibility for my share of handbag fluff and fills, nothing could prepare me for what I found relating to you, alongside all my MAC and stuff. Thank G-d I have big handbags generally, though this could be a problem in itself. The thing is, pulling out a baby wipe instead of my business card at a meeting, or finding a half-eaten piece of dried mango instead of my lip shimmer, is a privilege for me, really. It reminds me that I’m more than me and my job – it reminds me that when I get home and put my bag down, there’ll be a five-toothed smile, and the most edible hands in the world waiting for a hug. And that’s a feeling worth bagging. You say “tomato”, I say “oh wow, look here”. hahahah i know the feeling!!! little fiddle fingers in our handbags! so precious!! once again this photo of max is SOOOOOO freaking cute!! 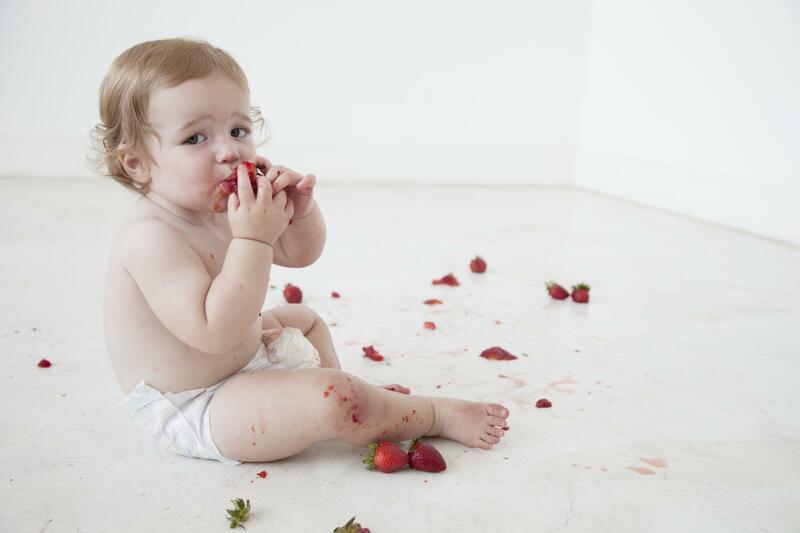 your photographer was aweseom to allow him to eat strawberries in her studio!